To capitalise on the new international resolve epitomised by COP21 and the agreement on the universal Sustainable Development Goals (SDGs) requires a renewed effort to promote new policy thinking and new approaches to the great challenges ahead. Responding to new challenges means we have to adopt more ambitious frameworks, design more effective tools, and propose more precise policies that will take account of the complex and multidimensional nature of the challenges. The goal is to develop a better sense of how economies really work and to articulate strategies which reflect this understanding. 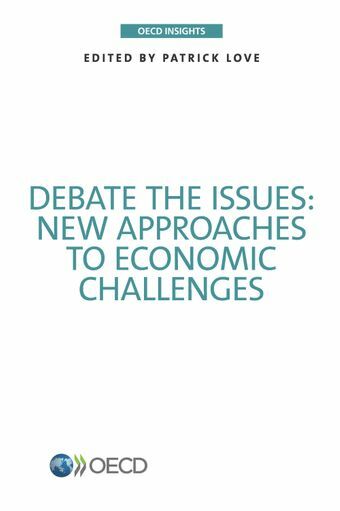 The OECD’s New Approaches to Economic Challenges (NAEC) exercise challenges our assumptions and our understanding about the workings of the economy. This collection from OECD Insights summarises opinions from inside and outside the Organisation on how NAEC can contribute to achieving the SDGs, and describes how the OECD is placing its statistical, monitoring and analytical capacities at the service of the international community. The authors also consider the transformation of the world economy that will be needed and the long-term “tectonic shifts” that are affecting people, the planet, global productivity, and institutions. The productivity and equality nexus: Is there a benefit in addressing them together?